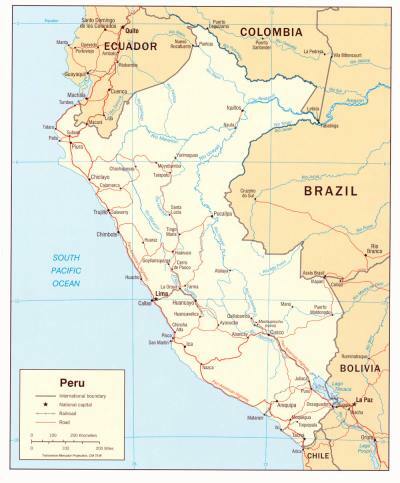 This section with Peru maps will help you to plan your travel to Peru much better. 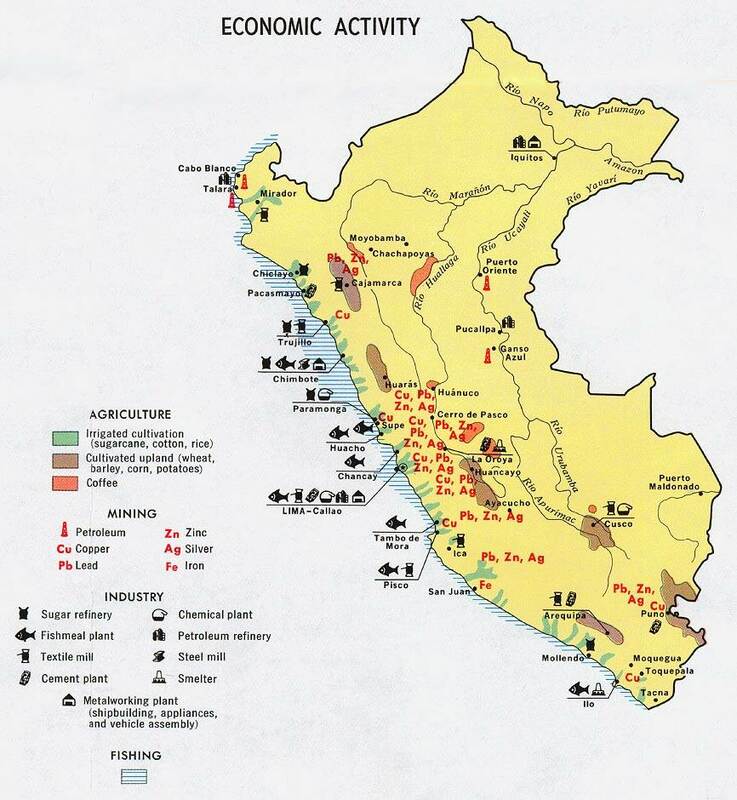 Please have a look on our general maps of Peru with ecological information, the main roads, regions and cities, and some other maps for if you are interested in other aspects of the country like density of the poblation and economic activities. We will also present some special maps as are the Inca Trail Map, other trails and tours. 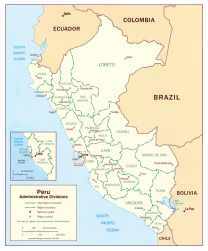 Check the links for all destinies and tours on the left. 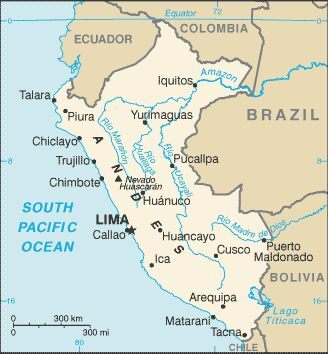 Please have a look at the right side to have immediate access to a map of Lima, a map of Cusco, a map of Arequipa, Puno, Nazca, Chimbote, Trujillo, Chiclayo, Piura, Ica, Tumbes, Puerto Maldonado, Huancayo, Ayacucho, Huaraz, Iquitos, Chimbote and Tacna. 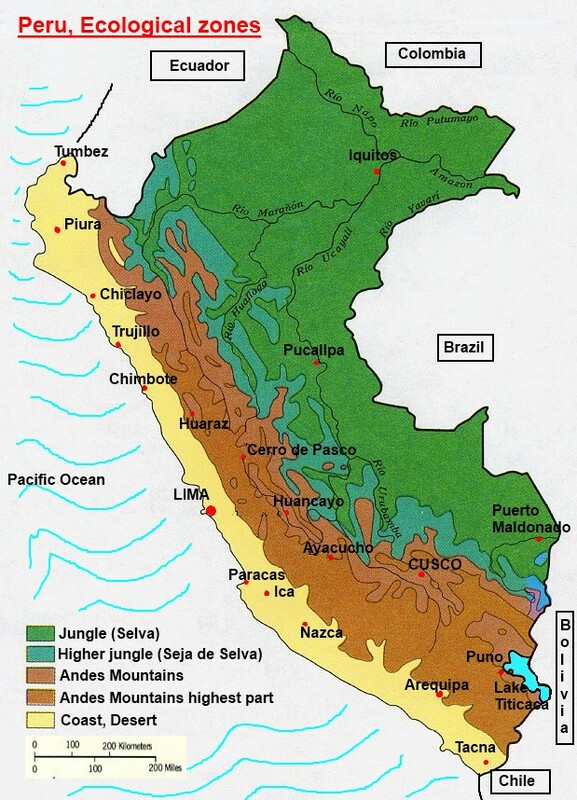 View Larger Map The division in three very different ecological zones canbe seen on the map above; the Andes dividing the country in a narrow coastal zone, the Andes itself with mountians that go over 6000 meters, and the big amazon rainforest zone. 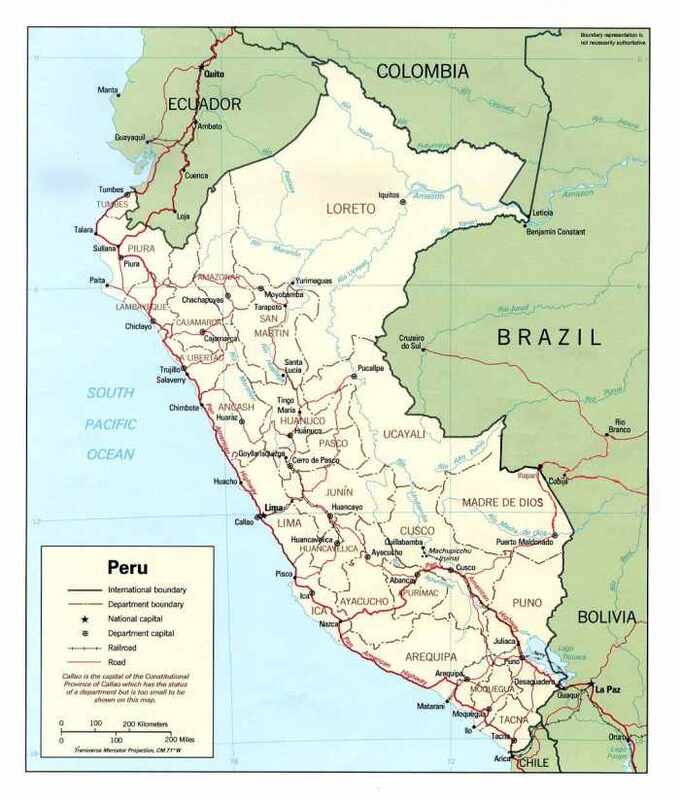 See also our map in the climate section or go directly to the bigger map for an even better idea about these 3 zones. 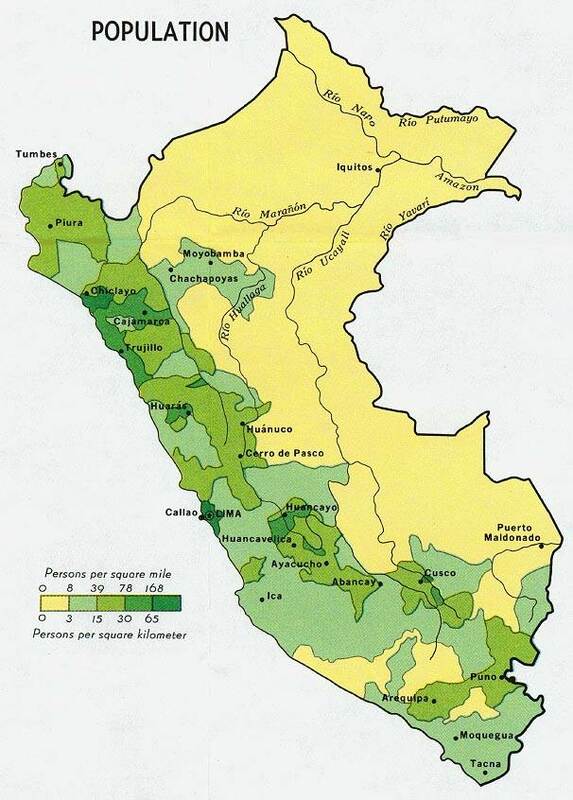 For some more maps, please click on the smaller versions below. 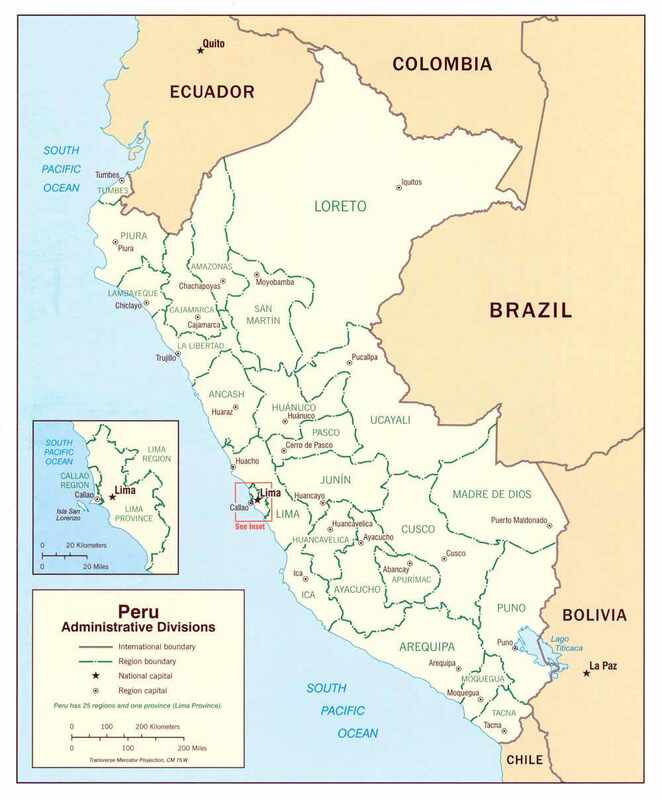 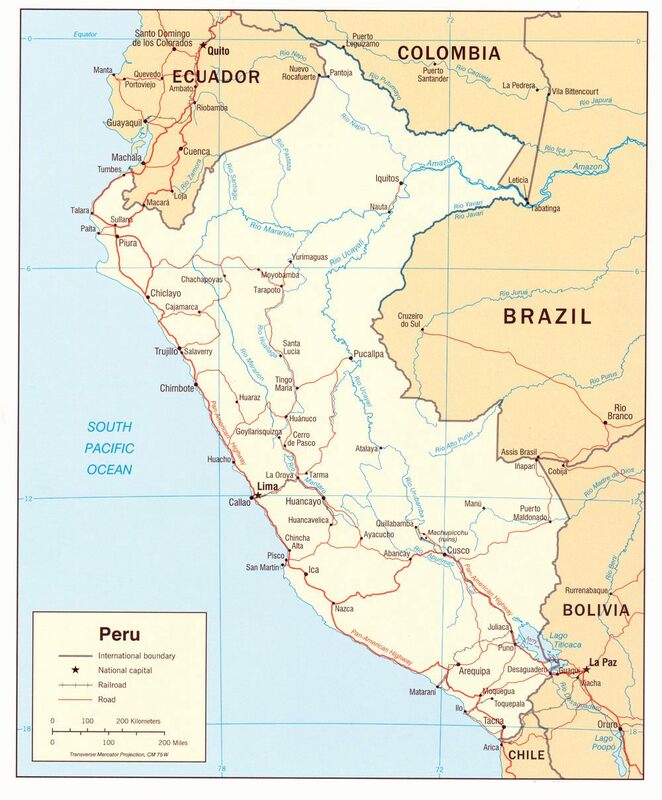 We offer a Peru map on economic activities, a map with economic activities, and a map with the departments in Peru (icluding roads and mayor cities). 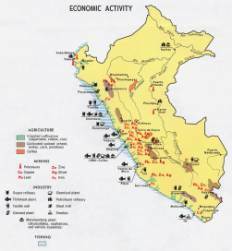 Click on each map for a bigger version.